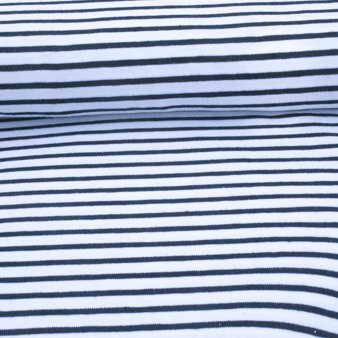 This attractive White/Navy Striped Cotton Jersey Dress Fabric is a single jersey in dark navy blue with white stripes. This wonderful jersey fabric holds its shape perfectly. 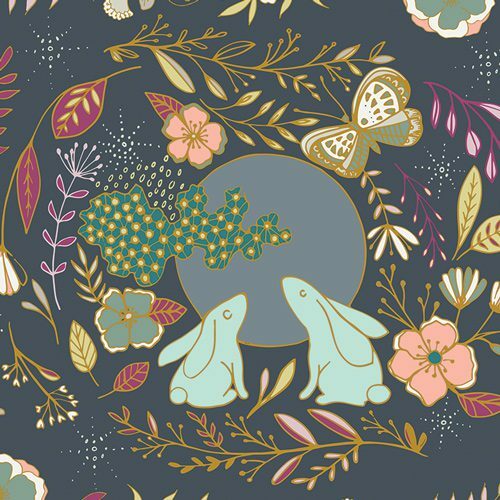 It is ideal for sewing leggings, t-shirts, dresses, etc.